Get the Hopper and iPad 2 only from Dish! Enjoy the freedom of mobility with Dish and the iPad2. Watch Everything live and recorded on your free iPad2 from Dish included when you sign up for Dish and Hopper. Transfer your recorded TV shows to your iPad and watch them without an internet connection. Manage your DVR recordings remotely. With Dish you can enjoy the benefits of flexibility, instantly skip commercials, store up to 2,000 hours of your favorite shows, and record up to 6 different shows at the same time. Call us today to learn why the Hopper is the winner of 17 industry awards, including Best of Show from the Consumer Electronics Show (CES). Learn from our sales specialists how Dish can simplify you life and save you time and money! No other satellite or cable tv provider is offering an iPad2. Call us today to get an iPad2 just in time for the holidays to share with your friends and family. Trying to stay entertained on long flights? DISH Network can stick with you even when you’re up in the air through Southwest Airlines. Through “TV Flies Free”, which is a partnership between DISH and Southwest Airlines, passengers will be able to enjoy up to 75 on-demand shows and even live TV in the set of Southwestern’s 400 Wi-Fi aircrafts. The feature is free to customers of DISH Network who have enabled the DISH Anywhere app as part of their subscription. Having a mobile device such as an Apple iPadÂ® or smartphone is the ideal way to check out the shows that are available to you during the flights that you’re on. Having access to the level of programming on behalf of DISH and Southwest Airlines is the perfect way to make your next flight go quick and smoothly. Not only do you feel like you’re saving time, but you’re also saving some money as well. Per day, the feature from DISH means a savings of $5 – not a bad extra hand of cash for wherever it is you happen to go on your flight! As part of the partnership with Southwest Airlines, customers who sign up with DISH today with a qualifying package will be able to receive 12,500 Rapid Rewards points from Southwest on their next flight. Prospective customers also have the chance to get the iPadÂ® 2 as part of signing up. You can learn more about getting this exclusive feature when you call Cannon Satellite TV. Get a FREE iPad 2! The Hopper with Sling is the most impressive whole-home HD DVR on the market. Boasting an impressive 2TV hard drive, the amazing features of PrimeTime Anytime – which automatically records all primetime shows when enabled – and AutoHop – which automatically skips commercials in PrimeTime Anytime content when enabled – as well many others, including Facebook and Pandora apps and the ability to stop watching a feature in one room and start watching in another. The Hopper from DISH is simply the best receiver out there, and with the new Sling capability you can take your great DISH programming, including live television and DVR recordings, with you anywhere you go! DISH Anywhere is truly anywhere, all you need is a mobile device, tablet or laptop with WiFi or a data connection and you can keep up with your favorite shows and even manage your DVR recordings and timers. The Hopper with Sling is designed with the customer in mind, offering the best on the market to increase your viewing pleasure. The best way to enjoy the Hopper with Sling is with an iPad, and because DISH wants their customers to have the very best experience you can now get a free iPad 2 when signing up for new service with a Hopper! With packages starting at just $49.99/month, you can get the very best entertainment with the very best value, all from DISH! Call us at 1-800-935-3509 today to learn about how you can get a free iPad 2! Get the Hopper for Free! The award winning Hopper is the most technologically advanced whole-home HD DVR on the market with amazing features like Auto Hop that allow for commercial free viewing and Prime Time Anytime that when enabled automatically records prime time television! The Hopper has been the greatest hit since it was released at CES 2012, and with the unveiling of the Hopper with Sling at CES 2013 it’s obvious DISH isn’t content to just be the best, they’re aiming to be better than the best. Think you could never get a Hopper? Think again! Customers who qualify for the Digital Home Advantage promotion and take a 24-month commitment can get the Hopper for free with programming package America’s Top 120 and above! With a promotional price of $24.99/month for the first year you can’t beat such great savings and technology! With America’s Top 120 you get the best value and America’s favorite channels, like Disney, AMC, Discovery, ESPN, and more! New customers can also get HBO, Showtime, Starz, and Cinemax free for three months! As well as HD free for the life of the account and Blockbuster @Home free for three months! That’s thousands of movies and HD programming and it’s all free! 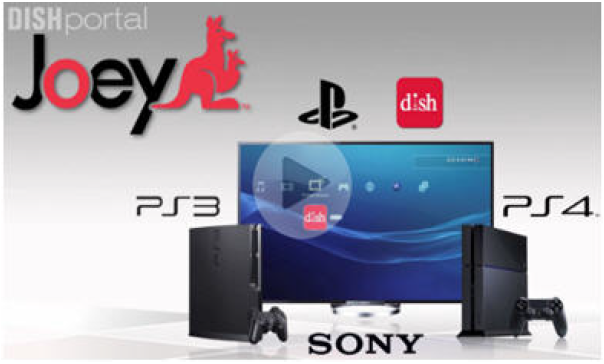 Call 1-800-935-3509 today to learn all about DISH’s great new customer promotions! DISH beats DirecTV for customer satisfaction, value, and technology. When you switch to DISH you can save up to $800 in the first year alone! DISH customers pay on average 19% less than DirecTV customers, and they get better value and technology. Hate commercials? Only the DISH Hopper offers Auto Hop that allows you to automatically skip commercials during prerecorded primetime shows with PrimeTime Anytime. DirecTV’s whole-home receiver, Genie, can’t do anything like that. It also can’t offer you TV Everywhere like DISH and Sling can, which allows you to watch live and DVR events anywhere on your smartphone, tablet, laptop or other internet connected device. With DirecTV’s “Everywhere” service you can only watch live TV in your home, except for a very limited amount of channels you can watch elsewhere. How is that “Everywhere”? With DirecTV you could pay up to $30 to rent a movie. When you switch to DISH you’ll get Blockbuster @Home free for 3 months, giving you over 20 additional entertainment channels including EPIX, STARZ Cinema, Sony Movie Channel, and Hallmark Movie Channel. Plus access to thousands of movies, TV shows, and kids’ titles streamed to your TV, computer or iPad. You’ll also get HBO, Cinemax, SHOWTIME, and STARZ free for 3 months. With such great deals and savings, why would you ever pay more to get less entertainment and technology that just can’t compare from DirecTV? Call 1-800-935-3509 today to switch to DISH and start saving! Give the gift of commercial free TV and the industry’s most advanced DVR to your family this year with a free Hopper with packages starting at just $24.99/month for the first 12 months with a 24 month agreement. The Hopper can record up to 6 channels at once during primetime with the PrimeTime Anytime feature which automatically records primetime television and saves it for up to 8 days. The primetime television recordings do not take up space on your massive 1TB personal hard drive, can be saved to your personal hard drive to keep if you haven’t gotten a chance to watch it, and you can automatically skip over all of the commercials with the exclusive AutoHop feature. HD programming free for the life of your account. HBO, Showtime, Cinemax and Starz free for 3 months. Blockbuster @Home free for 3 months. Free professional installation in up to 6 rooms in your house. With such great deals from DISH, you have to ask yourself this holiday season, why would you pay more for TV? Call 1-800-935-3509 today to learn more about the Hopper and to order DISH today!